I set out to build an up to date AMD gaming PC featuring the latest FX CPU, the FX8370 running on a ASUS PRO GAMING 970 motherboard. For the GPU I selected the RADEON R9 380X graphics card. The goal with this build was to offer PC gamers a cool & quiet system that looks & runs great; while featuring all AMD core components. Furthermore I wanted the system to readily support current specifications like SATA6G, USB 3.1 and M.2 SSD. Beyond the specification support, I also wanted to have the system look good while not breaking the bank. While not the absolute lowest price build you could specify it offers a solid balance of components that offer great features & functions, solid gaming performance at 1080P and even 2560 for some games all while not compromising on a consistent aesthetic throughout. Rounding out readiness for 2016 this system ready for DX12, FreeSync and the latest games. For those looking for a little more we also discuss optional upgrades including RGB lighting strips, upgraded CPU cooler and an SSD. I wanted to have a different look and feel and instead of focusing purely on a red and black aesthetic that would compliment the 970 PRO GAMING board and the R9 380X STRIX graphics card I went with a third color in white. This provides a nice contrast to the red and black and is offers a more distinctive look and feel especially if incorporating the optional Phantek CPU cooler i used as an upgrade. Phantek offers the P400 in multiple colors including a black chassis, I do feel if you went entirely read and black it would equally look outstanding but I like the contrast that white offered. CPU - We used AMD latest FX series CPU, the FX 8370. It offers up solid gaming performance and higher clock speeds which can still offer solid performance in lightly threaded applications or games. Furthermore it gives you the benefit of further enhancing performance by overclocking it. 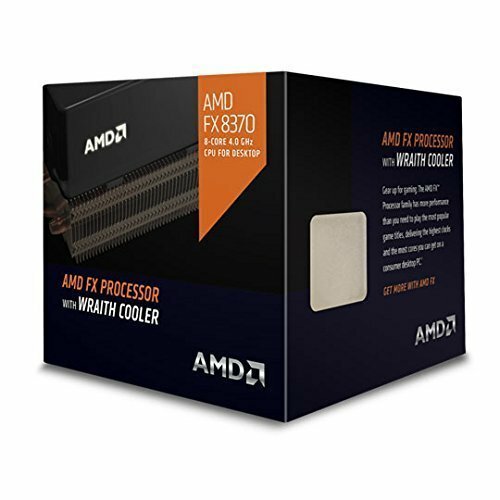 The FX CPU also comes included with AMD's new WRAITH CPU cooler. This is a solid inclusion in regards to aesthetics, acoustics and temperature performance. Recapping it looks good and is cool and quiet. It even allowed for moderate overclocking. I had no issues wit the cooler being able to hold 4.4GHz under full gaming load. Equally as important whether stock or overclock it was quiet. The inclusion of an LED is nice touch..
Motherboard - Went with the ASUS 970 PRO GAMING this is a refreshed 970 board offering updated I/0 connectivity like SATA6G, M.2 ( bootable ) and USB 3.1. In addition it has a great aesthetic with a clean red and black that is consistent throughout the board. This includes the PCB, PCIe and DRAM slots. There is also RGB lighting built into the south bridge while is a nice touch as it be customized to align with the RGB lighting on the P400 chassis. Overclocking is a very solid. The board features upgraded VRM components ( like 5K capacitors, high quality chokes and mosfets/drivers ) This along with the rich options in the UEFI allowed for easy and smooth overclocking. Even when placed under aggressive CPU and memory overclocks for extended periods the board held up without issues. Beyond overclocking it has nice upgrades like improved audio, an Intel NIC with packet priority software and even RAM Cache software. This is cool as you can allocate some of your memory to help improve the responsiveness of your hard drive. Speaking of memory the board has solid DDR3 memory speed / compatibility. Had no issues running 1600, 2133 or even 2400 kits of memory. Generally moving into speeds over 1866 on AMD is more problematic. With the ASUS UEFI and D.O.C.P option it was easy as I can selected the XMP value of the memory allowing for an easy way to have the timings and voltage applied without manually setting them. In the end we ended up with solid and stable overclock of 4.6GHz. 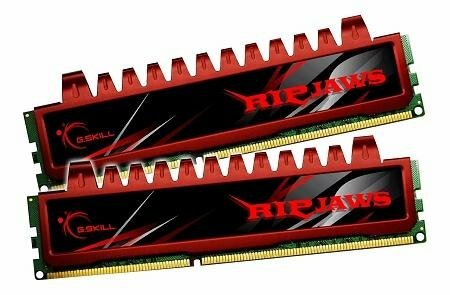 RAM - G.SKILL has great memory is is extremely compatible and looks good. Both the Ripjaws and Sniper kits would look great as they are red or black. They are very aggressively price. For most 8GB but if you are an extremely heavy application and web browser user it may be worth considering 16GB. This also ensure enough memory even for the most demanding games which can sometimes move it 4 to 6GB of memory usage. Lastly the increased allows you more memory to allocate to the RAM cache function. Storage - By default went with the 1TB Western Digital HDD. It is a proven drive and offer a balance between reasonable performance and large capacity for games, applications, music, movies, photos and more. For users looking for outstanding responsiveness from their system a SSD helps. With this in mind I installed the Kingston HyperX Preadotr M.2 SSD. It looks great as it is all black. It has better than standard SSD performance as it PCIe based ( PCIe Gen2 x4 ) IT gives ultra quick boot times, application , game and patching installing as well as great game and application loading. Kingston also has released a very nice utility to help to easily monitor, manage and even update the SSD. This is a nice touch. GPU - Settled on the 380X a great bang for the buck card. It has 4GB of VRAM perfect for high image quality settings at 1080P. it offers very solid performance in all current DX titles 9, 10, 11 and 12. for some games you can even move into 2560 gaming. It has FreeSync support which is also a nice plus. Beyond that the STRIX card specifically is heavily improved. It is out of the box overclocked, has a full non reference design from the PCB to power components. All have been upgraded for superior performance, lower temperatures and improved reliability. It has a high performance direct contact copper heat-sink assembly to keep the GPU nice and cool even when overclocked. it is quiet under load and even support 0dB mode when you are idling or doing minimal loading on the GPU while at the desktop. The two fans are of course fully tune-able and they has a special dust proof design which double seals the internal hub assembly. This helps to block dust, debris and dander from affecting the fan overtime. lastly I love the clean design it is pretty much all black and even has a full metal back-plate. Beyond that it looks great from the side especially with the large heat-pipe ( all of which are nickel plated ). With the improved design including the cooling solution I had no problems overclocking the card. I was able to easily exceed 1100MHz settling in at 1130MHz ( I believe the actual limit is around 1150 but would need to spend more time testing to ensure power target % is not a limiting factor ). For the memory I was also able to crank it up to 6500MHz. Overall very healthy overclock that even when fully under load had the GPU running comfortably around 70c. 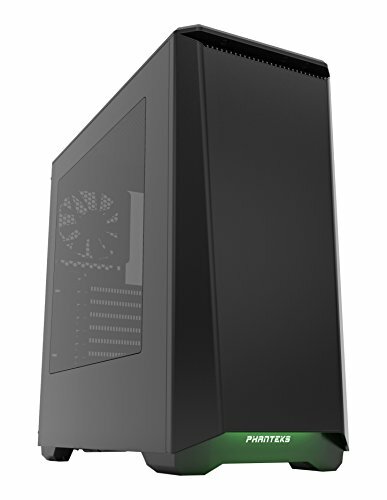 Case - The Phanteks P400 is a new chassis and continues Phanteks tradition of really offering outstanding DIY friendly designs. It looks great with a clean minimal design but subtle angled lines in the front. it has a nice side panel that is complimented by an interior which helps to focus first and foremost on the motherboard and graphics card ( as well as lighting if you mount any ). It has a lot of flexibility when it comes to mounting position for SSDs and HDDs and also a very room interior due to the front area being entirely free of any items. This area can be use to mount front mounted radiators or via optional trays you can mount multiple storage drives. Beyond that it has great cable routing no only on the right hand side but directly underneath which is great for routing many of the cables like front chassis leads, HD audio, fans and much more. Add to that it has integrated RGB lighting for the front of the chassis that can be easily expanded upon by integrating Phanteks LED strips which are now magnetic and you are good to go. Overall it was a fantastic chassis to work with. The upgraded version which features sound dampening material including magnetic dampener panels for the top is definitely worth if you want to prioritize quiet operation. PSU - Last but not least you have the PSU. I went with Thermaltake's SMART series which are aggressively priced but have a nice balance of features, features some nice aesthetic touches, are quiet in operation and have shown solid and reliable operation. I have used this PSU in multiple builds stock and overclocked without issues. It has proven to be solid in regards to reliability and quiet but under idle and load. Beyond that while it is a lower priced option it has fully black cables which is rare at this price point. In addition they are all flat allowing for easy stacking / layering which can make cable routing very easy. Bringing the build together there were not really any pain points that have to be detailed or considered. Everything went together smoothly without issue. The only item may be take time to carefully mount the Phanteks cooler if you select it as it has a little more complicated mounting solution. Additionally the fan retention clips which work very well do require a little bit of double checking when installed as you will have to set them in place and then push and rotate them to lock into place. I would also note that I opted to disconnect the fans from being controlled from the chassis fan control option. While this is nice touch I prefer to use the fan controls the motherboard offers. This gives you an easier way to control the cooling and acoustics of system exactly how you want with more precision and ease of use as you can tune the fan curve and operating parameters at the touch of the button within the OS or within the UEFI. I think I may have a thing for beautiful budget builds. This post does things to me. This is one of the most balanced budget builds I've seen in a while. You are getting the most out of all your components, kudos sir and +1 for harmony and efficiency. ...the M.2 drive you said you installed is not listed in the parts section. Thanks the M.2 by default is not part of the build. 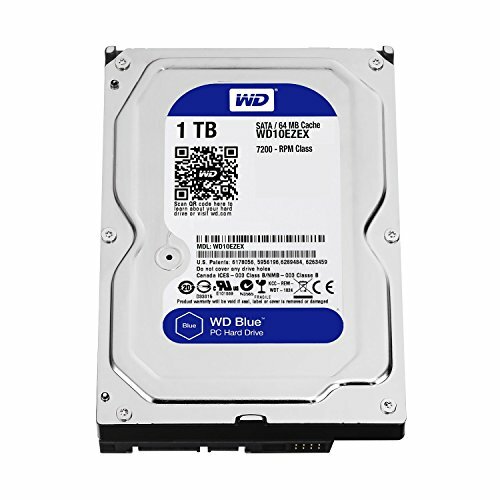 For users looking to target the 750 build price point it would only be the 1TB Blue drive. For users looking for better storage performance ( boot, installation, loading etc ) then the SSD is an option. I have listed it within the description at the end as an optional component. Thanks for the kudos! That power supply hurts my soul. Why is that? I have used it in multiple builds and we have a few in our test labs since their release and have had no issues over long term usage. This has been on AMD and Intel platforms and stock and overclocked. 85C primary capacitor plus a mix of Capxons and Samxons. High quality power supplies would have 105C rated caps. Especially the primary. Cpaxons and Samxons aren't good. 33mv of ripple on the 12v rail. While not terrible, there are better options. 2.23% voltage regulation which is getting pretty close to mediocre. The biggest problem with this unit is the fact that there are much better units for the money such as the Seasonic S12II. LOL thanks. I wanted to include a somewhat step by step process as opposed to just the finished build. I moved pictures of the completed build to the front to make those more immediate so you would not have to scroll all the way to the end to see what it looks like. JJ u da man! Big fan! Thanks appreciate the kudos. Without PCDIY users like yourself I and ASUS would not be where we are. Thank you! 148 high quality DSLR photos? I like it! Yeah was trying to offer those interested in a similar build a visual guide to each of the components and how the system came together. LOL thanks, appreciate the kudos. CLEAN!!! And I normally don't go for red in a build (Built an SLI rig in the Carbide Air 240 w/ a red theme and it didn't last long) but this is B-E-A-U-tiful! Thanks appreciate the kudos. I like the mix of red and white and black. Nothing dominates heavily but has a clear colors throughout. I FEEL PROUD FOR THIS AMD PC, SUCH AN HONOR SAW THIS.... AMD ROCKS STILL!!! AMAZING PC MAN..+1 FORTHEWIN!!! Thanks appreciate the kudos! Enjoy the rest of your day. looks awesome!!! Nice clean build!!! Wonderful build. Colors match impeccably, and the price is phenomenal. Good work. goal with this build was to offer PC gamers a cool Uses AMD chip... jk dude loving this comprehensive guide and wow that was a good read! Thanks appreciate the kudos. I will say overall temps were better solid. Would have been nice to have a little more intake airflow and maximize the front fan mounts with two 140mm fans but turned out solid with the included fans. Where is the m.2 ssd? NIIIIIICE! How do I get that FX wallpaper? Well, the rig I'm running (and will be posted soon, :D) is running an AMD FX 8370 and an R930x STRIX on a Corsair CX500M 500 watt semi modular PSU just fine. Awesome! Always great to see a #STRIX card in action. Best of luck with the build. Card just failed!!!! D: Gonna switch to a Powercolor R9 380x. In what way did it fail. An outright failure on a card is extremely rare. One day, I was going to play BF4, and the video didn't display, so I looked at the card, and the fans WERENT EVEN SPINNING! I went to two other PC's and the card didn't work, so I RMA'd it. OK... but was the card displaying an image? The card features a 0dB operating mode when the card is under a certain temperature range the fans will not spin for quieter operation. You can disable this option but it must be done via the GPU TWEAK utility. I am not clear on your question? Install the OS via a USB flash drive. You can either purchase Windows already on a flash drive or create an image via the Windows installation tool. What PSU would you recommend if I want to add an addition R9 380 in the future for CrossFire? OVerall the PSU noted should be enough to handle an additional 380. 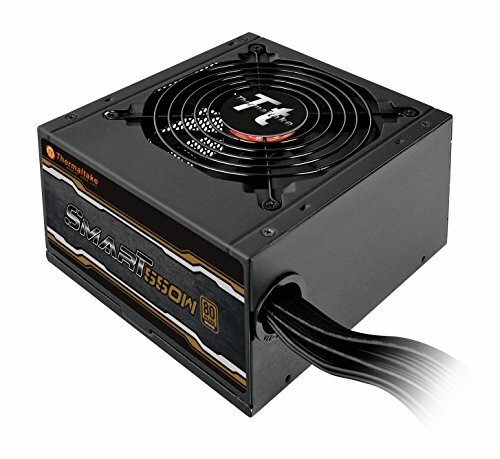 If you really want head room consider moving up to a 750 or 850 WATT PSU. I would advise gold rating for better efficiency and generally quieter operation. Seasonic is a great choice and pricing is solid but there are alot of good options for this wattage range. Niiiice! How did you get the white cables on the Phanteks PH-TC12DX to lie down so well? I had them folded being held in place by the heatsink. Nice build and good price, I just hate to see such a cheap psu go into it. Not saying it wont last but it's almost a principle that you don't skimp on the psu!! Hello and I am late to the party but I can not get my Toshiba 256 GB M.2 PCI-e to boot on Windows 10 at all. I can see it in Windows but not in the Bios at all. I have the Asua 970 pro gaming I can format the drive and like I said I can see in Windows Explorer just fine and that's it. I still can not get it to boot. I would really love the help if some one can help me PLEASE !!!! thank you so very much. I did the step by step I found online but I still can't get it to work. I have been able to put Windows 10 on the M.2 and see it in Windows Explorer I just can't get it to boot from the BIOS. Not sure where you issue is you may want to ensure you disable CSM inside the UEFI. Additionally, when you install windows you will only see your drive a boot option but nowhere else will you see it as a drive. This is normal. Ensure that you have set your drive ( boot manager ) as the first boot device. I wish I had that build two years ago. 100 likes... hmm... lemme change that! This is a different PSU. The one linked is a much older version ( which I have also used in multiple builds and while not outstanding was solid ). This new model is entirely different than the one linked. I have also used in long term in 6 builds without issues both at stock and overclocked. For its price it is a solid unit. It's not great for the money when you can get a 520w Seasonic for the same cost. No the Smart SE is not a horrible PSU, but it is certainly nothing to write home about. Average at VERY best. a 550w example is definitely NOT something I would recommend anyone use to power an fx8370 + r9 380x PC. This PSU is just as bad or worse than OP's. Thanks appreciate the kudos. The build video is linked in the description. Overall felt it was a solid build for what it is. Looks good, runs cool and quiet and handles overclocking without issues. Going the AMD router was about offering users an updated take on what a fairly low cost system could look like and perform like. Thanks again for the view and support. Why? It is a solid choice for the build. I have used it multiple times without issues at stock and overclocked configurations in various builds and independently in the lab. Thanks for your feedback regardless. Two different coolers. The default cooler included with the FX 8370 ( The WRAITH ) is a very solid cooler. It looks good and is cool and quiet and even allows for overclocking. The second "upgrade cooler I used was the Phanteks PH-TC12DX, this was use to up the visual aesthetic of the build and help to increase overclocking headroom due to the increase in thermal dissipation performance.